A terrific addition to any kitchen counter or breakfast island, this beautiful !nspire backless bar stool combines top-notch design and durability for a truly timeless piece. You'll love its contemporary style, perfect for any room in your home. The clear base frame colour gives this piece a stylish vibe, perfect for bringing a touch of flair to any room. Update your dining table with this richly-coloured dining chair. Offering a laid back style, the chair's rich colouring brings warmth to your living space while effortlessly complementing existing dicor. The chair features sturdy iron legs and a premium faux leather fabric cover for both durability and style. Designed with a stitched fabric cover and splayed leg design, this unique dining chair will add a touch of visual interest to your dining room. Enjoy memorable meals with family and friends in these casually comfortable dining chairs. The Eon Adirondack Collection truly delivers lasting natural beauty. Crafted from an innovative all-season resin that boasts incredible fading and weathering performance, Eon's premium products maintain their beautiful, natural wood-like appearance over their very long lives. Eon technology eliminates the frustrations associated with sanding, staining and painting. Eon is one of the finest alternatives to wood available on the market today. 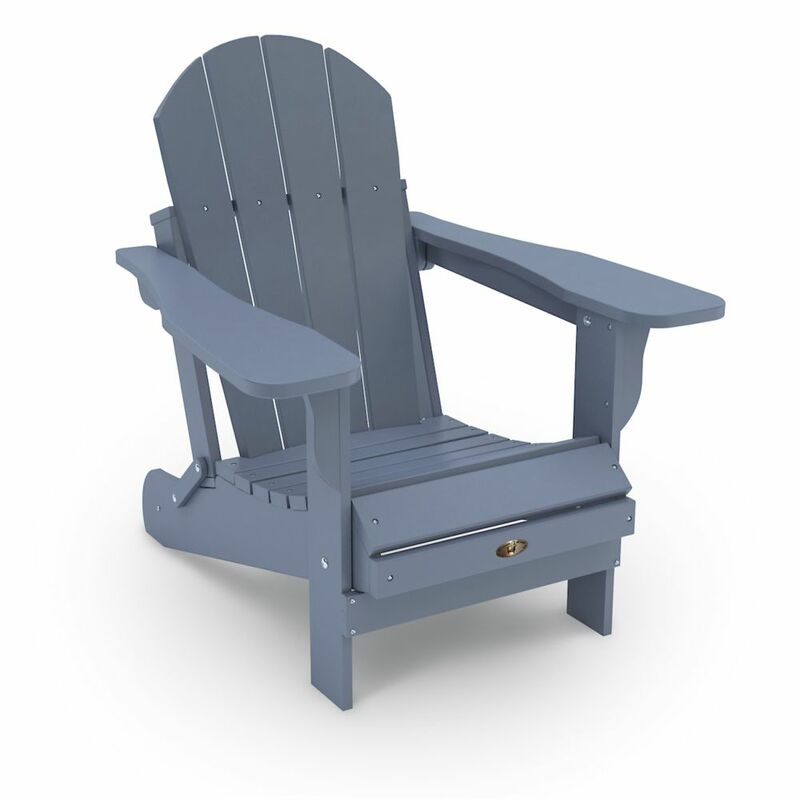 This beautiful Adirondack collection is comfortable and durable and designed for easy assembly. To further compliment these beautiful Adirondack chairs, Eon also offers a matching side table and ottoman. Available in 3 amazing finishes: Cedar, Grey and White.